Justin Bieber, 19-year-old pop music star, was apparently so moved by a sermon preached by Pastor Carl Lentz at Hillsong NYC church on Sunday that the Canadian recording artist "broke down." 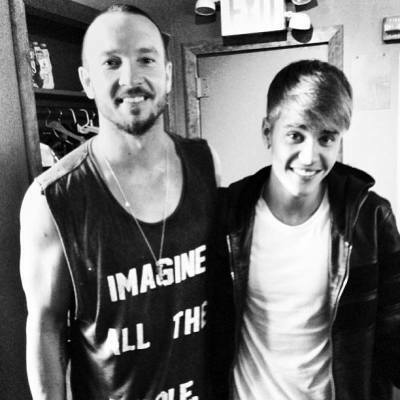 "Love to my guy @carllentzNYC for the amazing sermon at church this morning. Love you man. I broke down today. Thank (you)," Bieber tweeted Sunday night, adding a smiley face. The award-winning recording artist also uploaded a photo of himself and Pastor Lentz to his Instagram account that same evening, writing, "Love you bro" as the caption. Bieber has long been open about his Christian faith, and previously referred to The City Church's Judah Smith as his "pastor." He has also been seen spending time with both Lentz and Smith, the latter of which has called Bieber "a spectacular young man." The teen idol was in New York City over the weekend for the start of Fashion Week and made a low-key appearance at designer Yohji Yamamoto's Y-3 runway show. Bieber, known for his flashy pompadour and edgy attire, surprised admirers with a tamer hairstyle and toned-down outfit. Before hitting up Fashion Week Sunday night, however, it seems Bieber made time to worship with the Hillsong NYC congregation at their Irving Plaza location, which doubles as a concert venue on other days. The church uses a second, nearby location to hold more traditional chapel services. The subject of Pastor Lentz's Sunday message was "There Goes the Neighborhood," according to photos shared online. The megachurch was planted just two years ago with Lentz and Joel Houston under the direction of Brian and Bobby Houston, leaders of the main Hillsong Church location in Sydney, Australia. Since kicking off weekly services in February 2011 after an October 2010 launch, the church manages to attract an estimated 5,500 people to Sunday services — making Hillsong NYC one of the fastest-growing megachurches to emerge of late. Its growth has been partly attributed to a "come as you are" ethos and rock concert-type services, as well as the leadership and unconventional style of 34-year-old Lentz. The married father previously pastored the congregation at Wave Church in Virginia Beach, Va. He sports a Mohawk at times, has several tattoos and is often seen in photos with celebrities and high-profile figures, some of whom appear to be members of his congregation. "Lentz has established himself as his own brand," The Associated Press reported in July. "He has more than 67,000 followers on Twitter and 59,000 on Instagram, where you can find pictures of him standing next to Jay-Z and NBA star Kevin Durant. Justin Bieber posted a picture of himself eating lunch with Lentz, 'talking 'bout our savior Jesus Christ.'" In a 2011 Christian Post interview about the then-new church plant, Pastor Lentz was asked why New York City would need another church, in addition to the thousands that already exist in the metropolis. "You know, the Gospel is relevant and makes sense to people in different ways. Sometimes, different churches have different feels. Maybe someone will not connect with Hillsong New York City but they go down to your church and connect with that," Lentz said at the time. "So if it saves one person then that church is worthwhile. "So for us, we really believe in building the local church in general and we feel like we have a lane. We often use the analogy of a running lane. We are all running the same race with the same destination. We're not running your lane. It's not better or worse, just different." Hillsong NYC states that its mission is "to reach and influence the world by building a large Christ-centred, Bible-based church, changing mindsets and empowering people to lead and impact in every sphere of life." 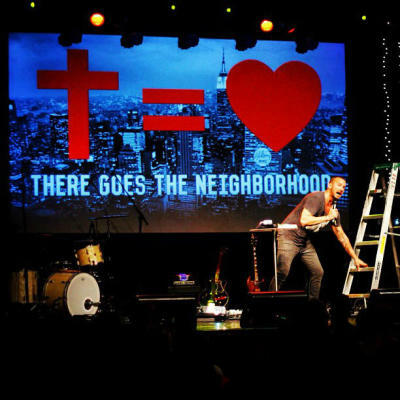 An article published Monday, Sept. 9, 2013, stated that Hillsong NYC draws more than 21,000 people every week to services. The New York City megachurch draws about 5,500 visitors for Sunday services.